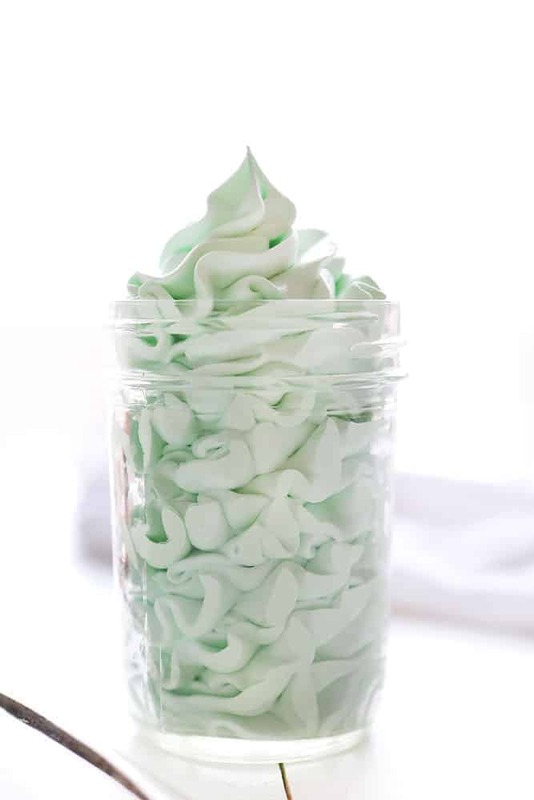 Homemade Peppermint Whipped Cream is an easy and delicious way to jazz up any dessert! 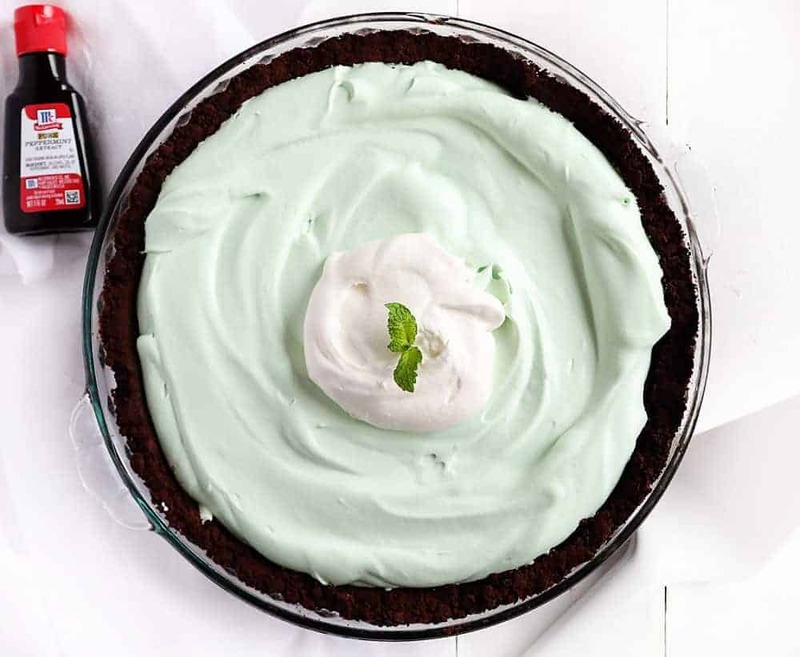 Perfectly flavored, light, and creamy, it’s a mint lover’s dream! I love when winter finally sets in and peppermint is everywhere. I don’t know about you, but I find it to be so refreshing! This recipe is perfect for cake, but also for hot cocoa and on top of chocolate pancakes. This recipe uses McCormick Pure Peppermint Extract. Because this recipe only uses 3 ingredients (4 if you add food color) it’s important to make sure you are using the best quality possible! Don’t aim for “stiff peaks”. You want the whipped cream to keep its shape and be soft, billowing peaks. If by chance you OVERBEAT the whipped cream (I have done this and cried!) fixing it is actually very easy. Simply add in more fresh whipped cream and whisk by hand. My life was changed when I found that out! Wait until peaks start to form before adding in the powdered sugar. I much prefer powdered (confectioners) sugar in this recipe, as it dissolves entirely and leaves a smooth texture. If you choose to use granulated sugar be sure to add it immediately at the beginning and whip it with the cream. Homemade whipped cream is best used immediately, but it can be stored for up to 10 hours if needed. Do you need a Stabilized Whipped Cream? My favorite way to stabilize whipped cream is to use cornstarch. It’s undetectable if you are using good quality peppermint extract like McCormick and adds several hours to the life of your whipped cream! 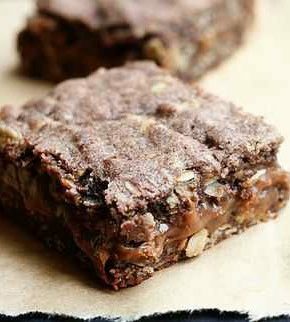 For the recipe below, add in 1 teaspoon of cornstarch when you add in the confectioner’s sugar. After I made this peppermint whipped cream I knew I wanted a fun and festive way to share it. Whoopie pies came to mind, but so did individual mason jar servings! 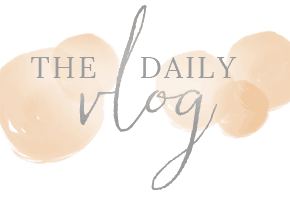 So… BONUS!… I am sharing both options with you today! 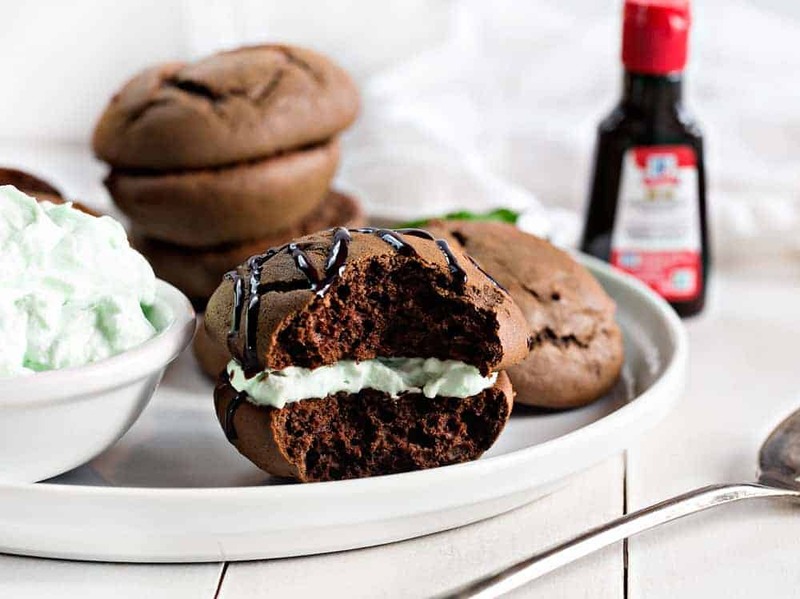 But first, let’s talk about this amazing chocolate peppermint whoopie pie recipe. This is the recipe that I use! I do like to switch it out with Dark Cocoa when I am adding a SUPER sweet filling like American Buttercream. 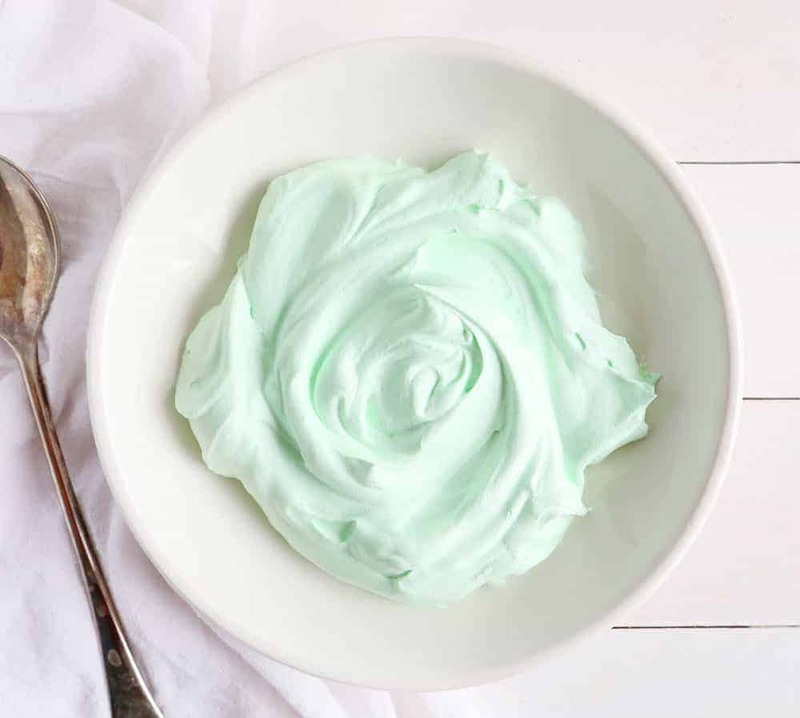 However, this glorious Peppermint Whipped Cream is so beautifully subtle, it is the perfect compliment to the recipe below. Whisk together the flour, cocoa, baking soda, baking powder and salt in a large bowl. Beat the granulated sugar and butter together in another large bowl with an electric mixer until light and fluffy, about 3 minutes. Alternate adding the dry mixture and the milk, beginning and ending with the dry mixture. Mix until just incorporated. Refrigerate the dough until chilled, at least 30 minutes and up to overnight if covered. Preheat to 400°F. Line 2 baking sheets with parchment paper. Drop tablespoonfuls of batter about 2 inches apart on the prepared baking sheets. 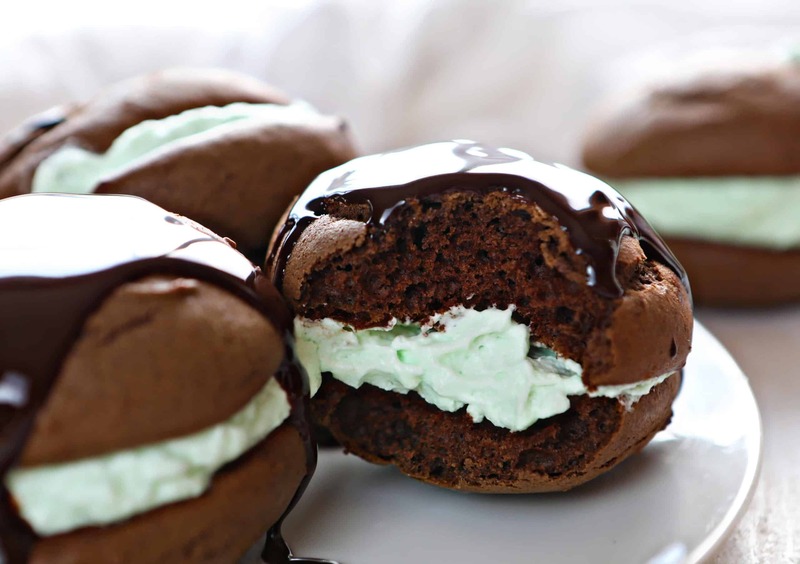 Bake until the whoopie pies puff up and the tops are no longer glossy, 7-8 minutes. Let cool for a few minutes on the baking sheets, then transfer to a wire rack to cool completely. 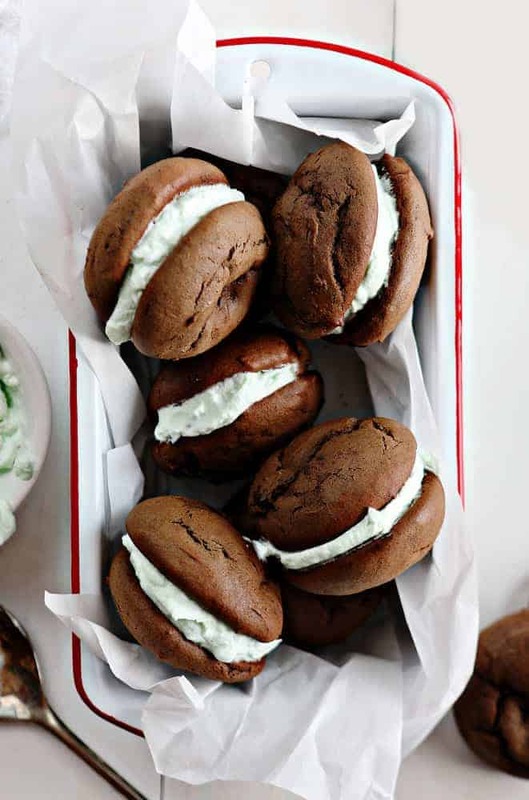 When you are ready to assemble, add a dollop of peppermint whipped cream (recipe below) to the center of one cooled whoopie pan and then add another whoopie pie on top. Drizzle with chocolate syrup (or homemade ganache) and serve! These are best eaten right away. 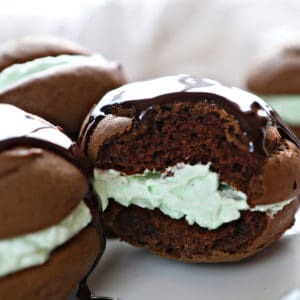 My kids were in HEAVEN with the gooey chocolate sauce poured on top and even my picky eater (who claimed he didn’t like peppermint) absolutely loved them. Definitely a winning recipe! This is was my favorite way to enjoy the peppermint whipped cream! I love any desserts in jars but especially love colorful and seasonal jar desserts! This one definitely fits the bill. Start by making a chocolate cake and baking in a sheet pan. (I used a 10×15 pan) This is a fantastic chocolate cake recipe, be sure to bookmark it! After the chocolate cake is cooled, use a sharp knife to cube the cake. I made mine about 1 inch by 1 inch. Get out your clean jar. You can use any size jar you have available, but we loved the half-pint (8 ounce) jar. It just seemed to be the perfect amount to eat! I think kids would especially love the shorter quarter-pint (4 ounce) jar. Start by placing a few cubes of cake in the bottom of the jar. Add a dollop of the Peppermint Whipped Cream and then another layer of cake. Repeat until you reach the top. 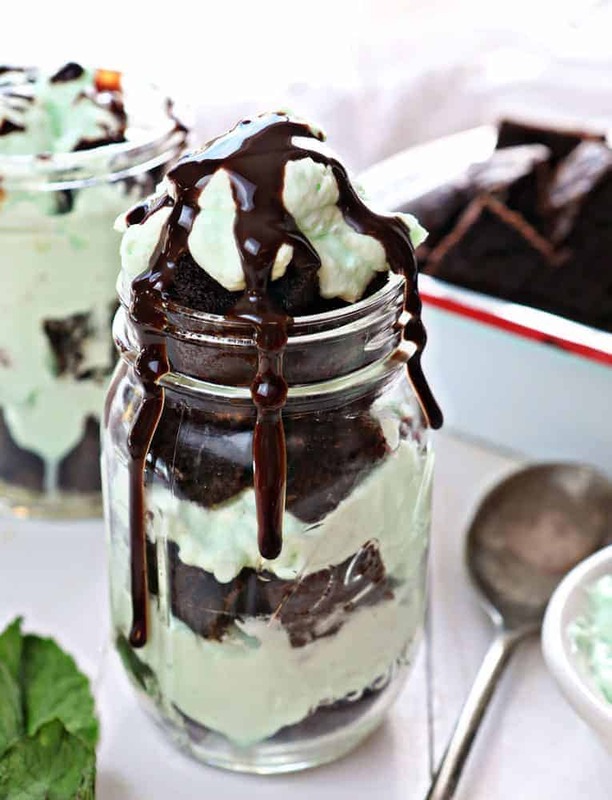 Drizzle with chocolate syrup and add a sprig of mint for garnish. 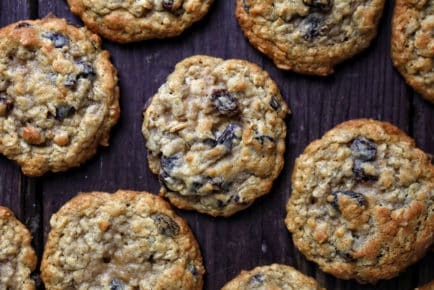 If you want to make these ahead I recommend not letting them sit for more than 12 hours. Simply fill the jar to just under the rim, cover with a lid, and refrigerate until ready to serve. I would wait until serving to add the chocolate sauce. However, these are so easy and fun to assemble, why not let guests join in and let them keep their own? I loved helping my kids assemble theirs and seeing their eyes light up! 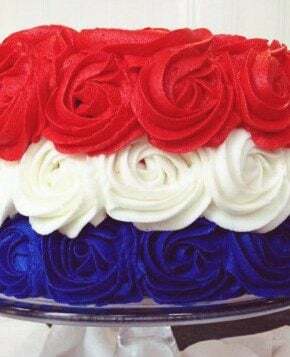 Try tinting the whipped cream red with McCormick Red Food Color. Add crushed candy canes on top for a garnish. Same amazing flavor, different presentation! 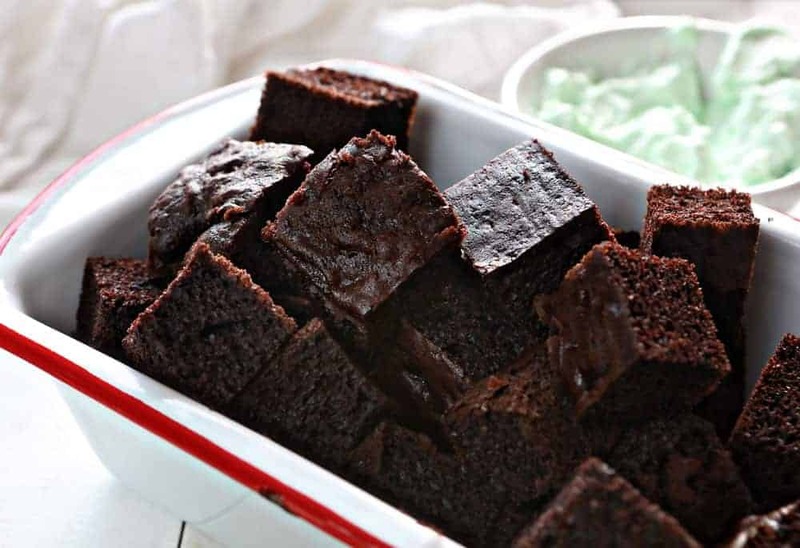 Add a teaspoon of peppermint extract to the chocolate cake. 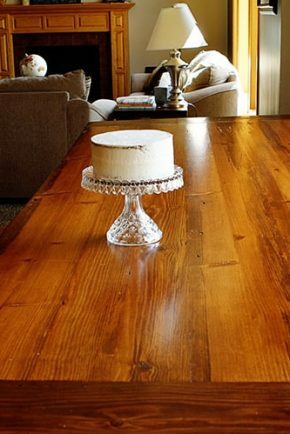 Instead of cubing the chocolate cake, use a tall kitchen glass or cookie cutter to cut round discs out of the cake. Just make sure that the disc fits snuggly into the jar before cutting them all out. 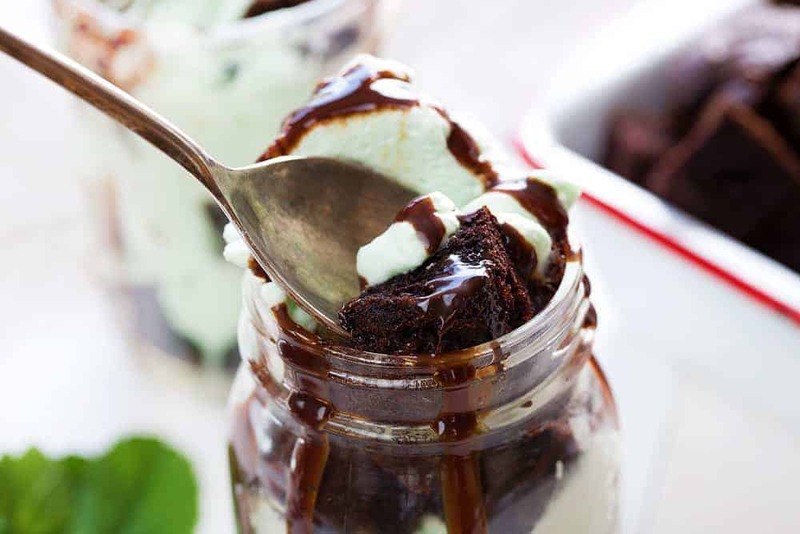 Use the chocolate cake discs as the layers in your mason jar dessert! Ready for our third fabulous way to use that amazing Peppermint Whipped Cream? 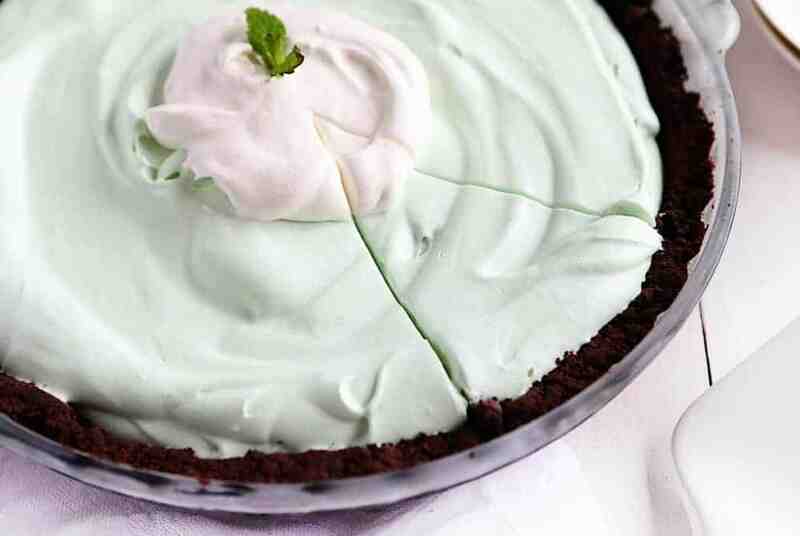 A Peppermint Cream Pie! This is probably my favorite pie to make because it is SO easy! Rich chocolate cookie crust loaded with a silky smooth white chocolate peppermint cream pie filling… I mean, is there anything better? Crush the 20 Oreos in a large plastic baggie until they are crushed into fine crumbs. Pour into a bowl and add the melted butter. Press into 9-inch pie pan, pressing up the sides. Put the white chocolate pudding mix, milk, extract and food coloring in a bowl. Beat with a hand mixer for about 1-2 minutes. Stir in the homemade peppermint whipped cream until well combined. Spread the peppermint cream pie filling over the pie crust. Refrigerate until ready to serve, at least 1-2 hours. This cream pie comes together REALLY quickly is a family favorite! 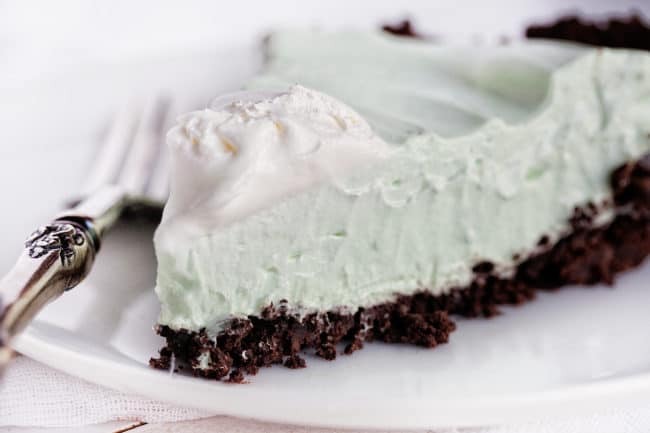 Smooth and creamy peppermint flavor with that decadent chocolate crust… it’s a match made in heaven. The perfect amount of cool mint flavor! Add heavy cream to mixing bowl, mix starting with low speed, then gradually increase to medium speed until the cream starts getting thicker (the gradual speed progression prevents you from spraying yourself with cream). When the cream starts to thicken stop the mixer, add in the powdered sugar and then resume mixing again starting with low speed and increase to medium speed up to high speed. The cream will thicken and start to peak. Stop the mixer and add in the peppermint extract. Mix on high speed until the cream is thick and stiff. Thank you for supporting the brands that support me here at iambaker! I love McCormick products and am so grateful for the ability to share them with the world. Creating these peppermint desserts was absolutely delighful! Such fun ideas. My daughter loves chocolate and mint. We will give these a try! I am fond of your recipe. They’re so simple and awesome. 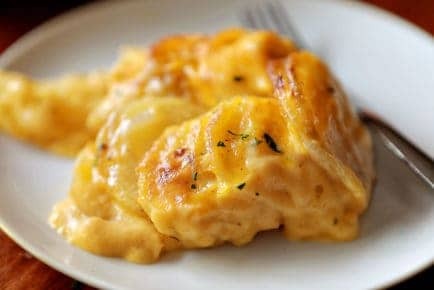 I am excited to make them.